The 251 Soul, hosting prominent artists on its stage, will bring together world-famous jazz artist Gilad Atzmon with Antalya's music lovers in the first weekend of February. Graduated from the Department of Jazz and Composition at the Rubin Music Academy in Jerusalem, Gilad Atzmon has created 12 albums throughout his career. In addition to the saxophone, he can also play clarinet and various local vocal instruments. His album "Exile" won great admiration from music authorities. At the concert, he will perform a repertoire including his songs "In a Sentimental Mood" and "The Romantic Church." He will be accompanied by Sarp Maden on the electric guitar and Volkan Öktem on drums. 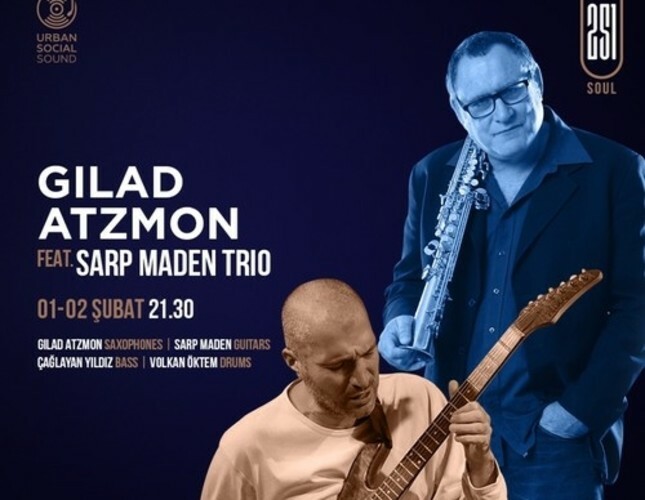 Antalya's music lovers will enjoy a unique music experience on the night when the world-famous jazz artist Gilad Atzmon will perform. Do not miss this unique night at The 251 Soul, the New Brand of AKRA Hotels, which continues to invest in bringing the city together with culture and art with its innovative and dynamic structure.